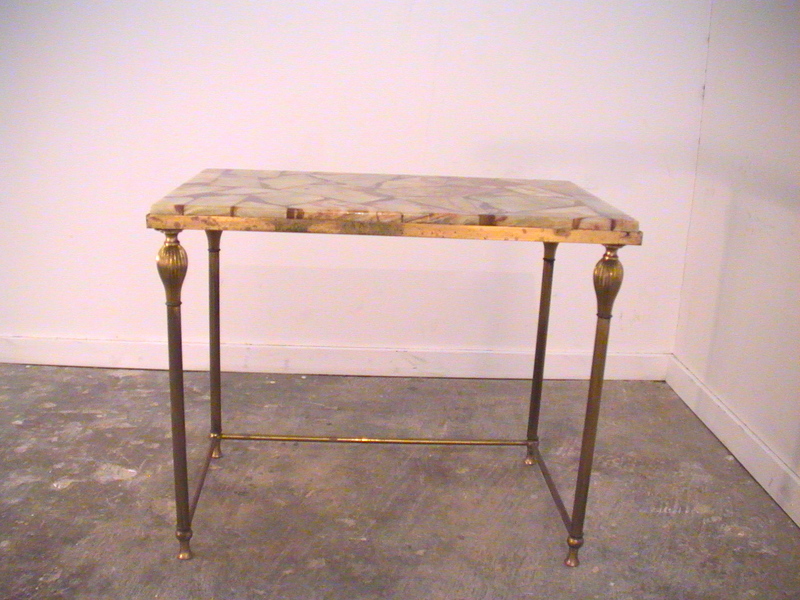 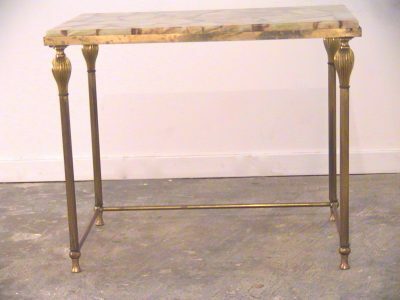 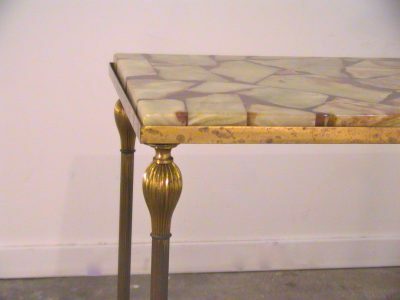 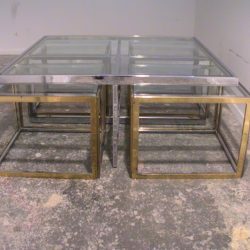 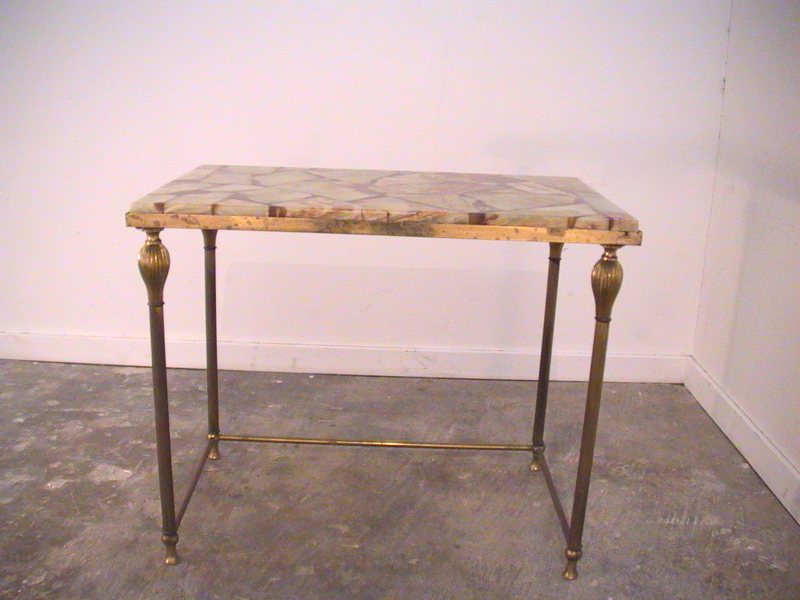 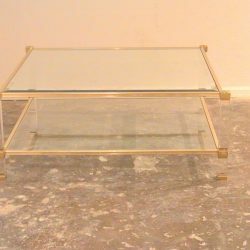 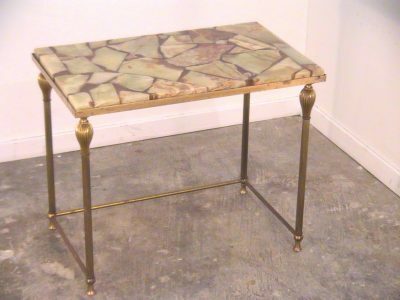 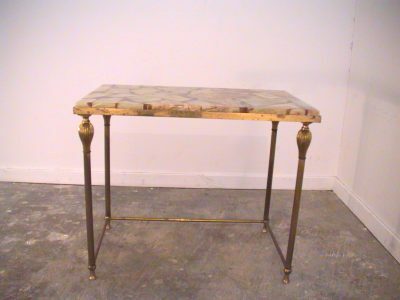 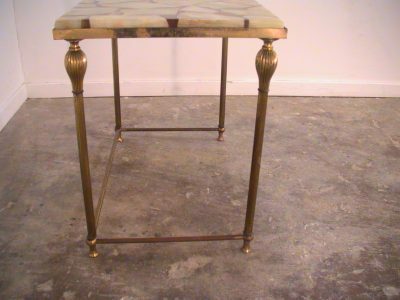 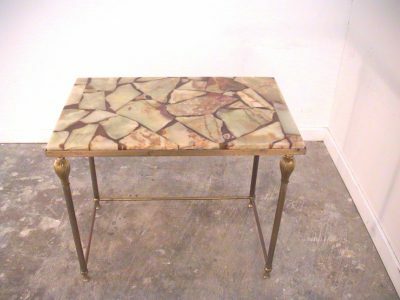 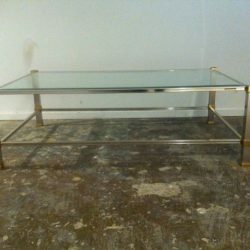 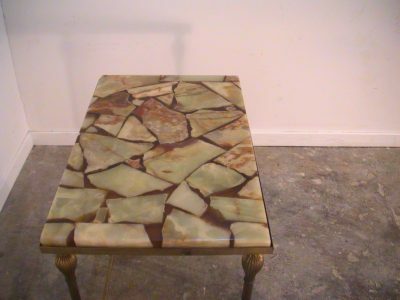 Beautiful of very heavy quality, this onyx side table with brass legs probably was part of a set of nesting tables. 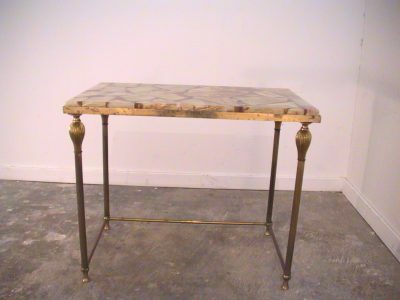 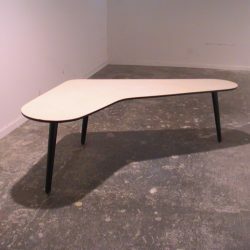 On its own it is still a very nice side table that would look great in any kind of interior. 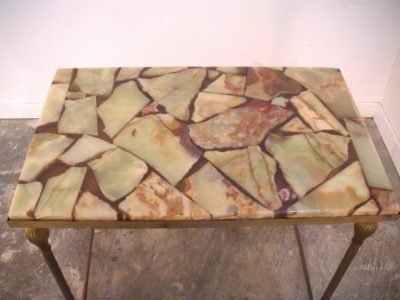 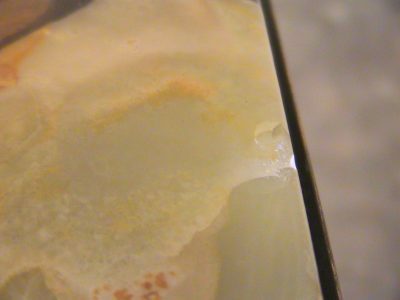 Small chip of onyx, see picture.